Junior State of America (JSA) is a civic program created by and for young people who are interested in politics and government, foreign affairs, the law and education. Students who attend JSA debate bills in a simulation of Congress. Our students previously prepare by working in groups to investigate and write their bills so they can later debate them in front of a large group of other international students. Our students act as senators to later vote for or against the proposed bills. 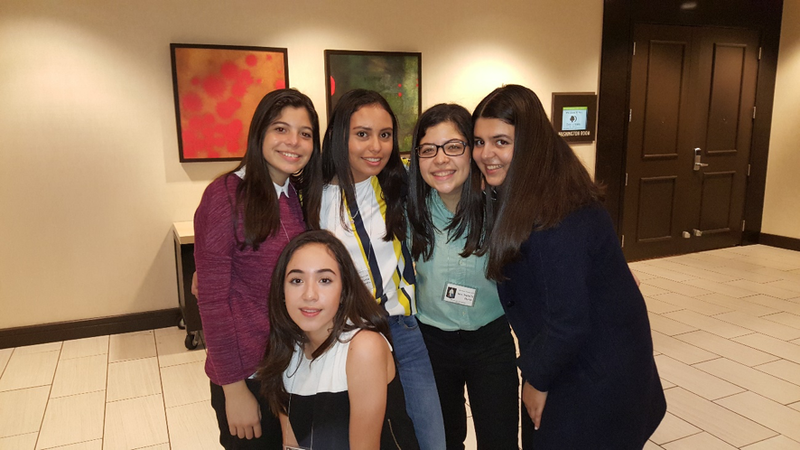 This year, last February, 34 students of 10th and 11th grade from DelCampo International School attended the JSA Winter Convention in Washington, DC. The group was led by Mrs. Marcia Bendeck who coordinates the JSA Chapter at DelCampo International School. Our students’ participation was a successful one, as on their first day of debates, they passed all their bills with a majority of votes. On the second day of the debates they could pass one of their bill in their own committees. What they achieved is a great accomplishment at JSA. This achievement shows how hard they prepared and worked through their academic studies at DelCampo International School. Every year we attend JSA our students receive praises for their excellent preparation, knowledge of the issues presented, and their discussion and public speaking skills during the debates.